Milan, 11 March 2016 – At a meeting today chaired by Roberto Colaninno, the Board of Directors of Piaggio & C. S.p.A. examined and approved the 2015 draft financial statements. Group consolidated net sales in 2015 totalled 1,295.3 million euro, an improvement of 6.8% from 1,213.3 million euro in 2014. The Piaggio Group recorded revenue growth in all the main geographical areas where it operates, thanks to a positive exchange-rate effect, with net sales of 745.4 million euro in the EMEA and Americas areas (+6.6% on 2014), 353.7 million euro in India (+8.9%) and 196.2 million euro in Asia Pacific (+3.8%). Similarly, revenues rose on all Group lines of business. Turnover in the two-wheeler sector was 884.9 million euro, an increase of 5.2% from 841 million euro in 2014 (the figure includes spares and accessories). Revenues for commercial vehicles, including spares and accessories, were 410.4 million euro, an increase of 10.2% from 372.3 million euro in 2014. The 2015 industrial gross margin was 374.4 million euro, up 9.7 million euro (+2.7%) from 2014. The return on net sales was 28.9%, a slight decrease from 30.1% in 2014 generated largely by the exchange-rate effect. Amortisation and depreciation included in the industrial gross margin totalled 36.9 million euro, compared with 34.5 million euro in 2014. Operating expense in 2015 was 317.7 million euro (295 million euro in 2014). The increase of 22.7 million euro from 2014 reflected the increase in amortisation and depreciation in operating expense (68.1 million euro in 2015 from 55.1 million euro in 2014), higher communication and marketing at international level, and commitments for Aprilia Racing activities. The changes in the income statement described above generated consolidated EBITDA of 161.8 million euro, up from 159.3 million euro in 2014, with an EBITDA margin of 12.5% (13.1% in 2014). EBIT in 2015 was 56.7 million euro, down by 13 million euro from 69.7 million euro in 2014 due to an increase in amortisation and depreciation (105 million euro in 2015, 89.6 million euro in 2014). The EBITDA margin was 4.4% (5.7% in 2014). The Piaggio Group closed 2015 with profit before tax of 20.1 million euro, compared with 26.5 million euro in 2014. Income tax for the period was 8.2 million euro (10.5 million euro in 2014), with an impact on pre-tax profit of 41%. 2015 closed with a net profit of 11.9 million euro, down from 16.1 million euro in 2014 mainly as a result of higher amortisation and depreciation expense. Net debt at 31 December 2015 was 498.1 million euro, an increase of approximately 5.3 million euro from 492.8 million euro at 31 December 2014, largely due to the reduction in shareholders' equity on distribution of dividends, offset only in part by the positive trend in working capital. Operating cash flow for the year was up to 109.8 million euro, an increase of 4.5 million euro (or +4.3%) from 105.3 million euro in 2014. Group shareholders' equity at 31 December 2015 was 404.3 million euro (413.1 million euro at 31 December 2014). Piaggio Group capital expenditure in 2015 amounted to 101.9 million euro (+7.4% from 94.9 million euro in 2014), of which 31.4 million euro for R&D expenditure (31.8 million euro in 2014) and approximately 70.5 million euro for property, plant and equipment, investment property and intangible assets (63.1 million euro in 2014). Among investments in Group industrial assets, a particularly important project is the new automated paint shop nearing completion at the Piaggio industrial facility in Pontedera (Pisa). In 2014, investment at Pontedera included the insourcing of high-precision aluminium machining operations, with the opening of a dedicated shop. The new paint shop is a completely robotised operation. It will be completed and opened in April 2016, to coincide with the 70th anniversary of the Vespa, whose first patent dates back to 23 April 1946. The new facility will enable Piaggio to improve still further finished product quality and efficiency on all vehicle paint processes. 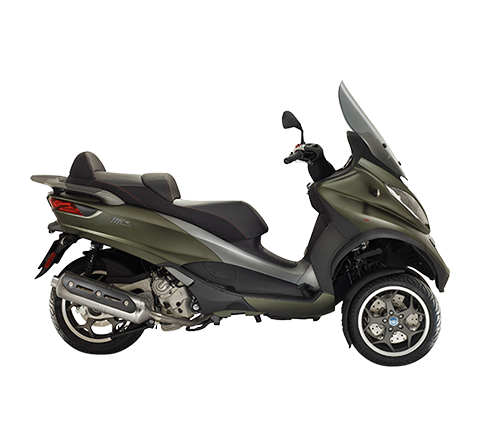 The total workforce of the Piaggio Group at 31 December 2015 numbered 7,053 employees. The Group’s Italian employees numbered 3,638, unchanged from the previous year. In 2015, the Piaggio Group sold 519,700 vehicles worldwide (546,500 in 2014). The reduction of 4.9% in Group sales volumes was effectively counterbalanced – in terms of revenue growth – by the shift in the product mix towards products with higher value per unit (notably, with a 26.7% revenue increase in the motorcycle segment) and by the Piaggio Group’s premium price policy. In 2015, the Group sold 322,500 two-wheelers (334,200 in 2014), generating net sales of 884.9 million euro, an improvement of 5.2% from 841 million euro in 2014. The figure includes spares and accessories, where sales totalled 123.9 million euro (+8.3% from 2014). In the two-wheeler business, the Piaggio Group reported revenue growth in all the main geographical areas where it operates, with turnover of 665.5 million euro in the EMEA and Americas areas (+5% from 2014), 196.2 million euro in Asia Pacific (+3.8%) and 23.2 million euro in India (+26.2%). On the European two-wheeler market, the Piaggio Group reconfirmed its absolute leadership, closing 2015 with an overall market share of 15.2% and a 24.1% market share in scooters (approximately 11 percentage points ahead of the second European competitor). The Group also maintained a particularly strong positioning on the North American scooter market, with a market share of more than 20%. In the scooter sector, the Group reported higher net sales for the Vespa brand (+3.5% on 2014), for 2015 worldwide shipments of 166,000 scooters. Revenues also improved in motorcycles, with an overall increase of 26.7%. The revenue improvement was 27.4% for the Moto Guzzi brand, thanks to the success of the key new products launched by the Piaggio Group in the first half of 2015: the motorbikes in the V7 750 range (44% increase in sales volumes from 2014) and the California 1400 range (36% increase in sales volumes). In 2015, Moto Guzzi shipped a total of 7,880 vehicles, for growth of 24% from 2014. Similarly, in the motorcycle sector, the Aprilia brand reported revenue growth of 36% from 2014. The Aprilia super sports bikes with the V4 engine, assisted by the benefits of Aprilia's MotoGP and Superbike activities, and its victory in the 2015 Superstock 1000 FIM Cup, generated strong growth in sales in 2015, with an improvement of 56% in sales volumes for the RSV4 range and 74% in sales volumes for the Tuono 1100 models. In the commercial vehicles sector, the Group sold 197,200 vehicles (212,300 in 2014) for net sales of 410.4 million euro (+10.2% from 372.3 million euro in 2014). The figure includes spares and accessories, where sales totalled 42.7 million euro (+24.2% from 34.4 million euro in 2014). In commercial vehicles, in the EMEA and Americas area, the Piaggio Group reported net sales of 79.8 million euro, for revenue growth of 21.1% from 2014, and 12,800 shipments, an improvement of 27.1% from 2014. In India, net sales for commercial vehicles at the subsidiary Piaggio Vehicles Private Limited (PVPL) amounted to 330.6 million euro (+7.9% on 306.3 million euro in 2014), despite a 3.3% slowdown in sales on the Indian three-wheeler market as a whole compared with 2014. On the Indian three-wheel commercial vehicle market, PVPL had an overall share of 30.9%; it strengthened its leadership in the Cargo segment with a market share rising to 54.1% (52.2% in 2014), and maintained a significant share (25.7%) of the Passenger segment. In 2015 the PVPL production hub also exported 26,100 three-wheel commercial vehicles worldwide. These sales arose in part in the EMEA and Americas area and in part in the India area, in connection with responsibility for management of the individual markets. 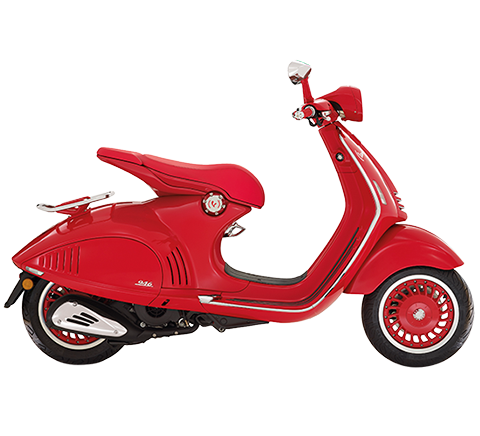 Starting in September 2015, the Vespa 946 Emporio Armani was launched on the leading world markets. Specifically, on 17 September 2015 in Japan, 18 September in Vietnam, 21 September in Indonesia, 14 October in the USA and 30 October in the People's Republic of China. On 2 October 2015, Piaggio Fast Forward, a subsidiary of Piaggio & C. S.p.A. based in the US state of Massachusetts, where it conducts research into innovative mobility and transport solutions, held its first event, in Milan. The meeting, with the title The Shape of Things to Come, involved thousands of university students, physically in The Mall location in Milan and in streaming from all over the world. The event was attended by Piaggio Group senior management, including Roberto Colaninno (Group Chairman and CEO), Matteo Colaninno (Group Deputy Chairman) and Michele Colaninno (Immsi Group CEO and COO, and a Piaggio Group director). The speakers, in addition to Roberto Colaninno, included several members of the Piaggio Fast Forward Advisory Board and Board of Directors: Nicholas Negroponte (co-founder MIT Media Lab, Professor of Media Technology at the MIT); Jeffrey Schnapp (co-director Berkman Center for Internet & Society, Professor at Harvard University); Greg Lynn (designer, founder Greg Lynn FORM, Professor at Yale University); Doug Brent (Vice President Technology Innovation at Trimble); Beth Altringer (psychologist, designer, lecturer at the Harvard Engineering & Design School); Sasha Hoffman (co-founder Fuzzy Compass, active member of the Boston Entrepreneurship Ecosystem). On 17 November 2015, at the EICMA motor show in Milan, the Piaggio Group previewed a number of new products, including the new Piaggio Medley high-wheel scooter, the new Piaggio Liberty generation, the special Vespa “Settantesimo” models in the PX, Primavera and GTS versions, as well as the Piaggio Wi-Bike, the pedal-assisted bicycle in four different configurations, entirely developed and built by Piaggio in Italy. The Group also showed new products in the motorcycle sector: Moto Guzzi presented the V9 range, the Bobber motorbike with large wheels and a dark spirit, and the V9 Roamer, a smart classic mid-range custom motorbike. 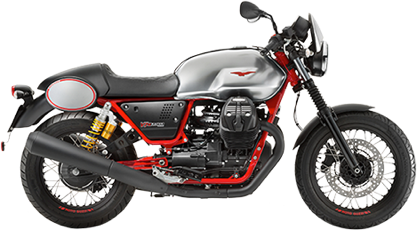 Moto Guzzi also presented the V7 II Stornello 750, and the powerful 1400cc MGX-21 ‘Flying Fortress’. 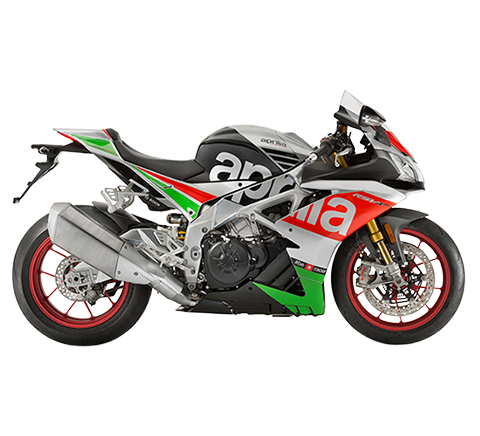 To celebrate 54 world titles and its Superstock 1000 success, Aprilia unveiled the new Aprilia Racing Factory Works projects: custom racing bikes up to 230 hp for professional riders, collectors and devotees. On 3 December 2015, the European Investment Bank and Piaggio signed a 70 million euro finance contract to fund Piaggio Group research and development projects at the Group’s Italian sites. The seven-year loan will support the development of innovative technological product and process solutions in active and passive safety, sustainability (including electric motors and reduction of fuel consumption in combustion engines) and customer satisfaction, based on research into new mobility concepts, new driver-vehicle interfaces, and communication and web access protocols. On 14 January 2016, the Group launched the new Piaggio Liberty, the scooter regarded as a milestone in the development of two-wheel mobility. 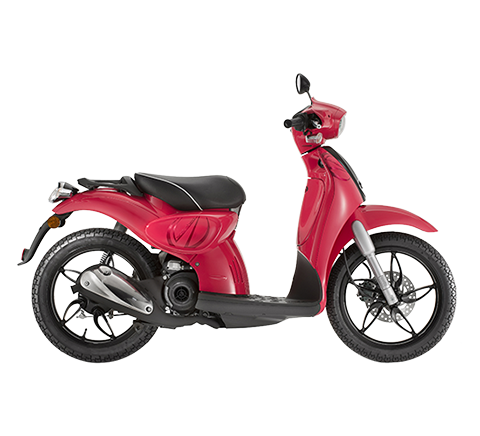 Originally presented in 1997, the Piaggio Liberty has been a market best-seller with more than 900,000 scooters shipped in 18 years. The new Piaggio Liberty also features the new Piaggio iGet engines, in an air-cooled version, the state of the art in the respective displacement categories. On 2 March 2016 the new Aprilia RS-GP 2016 was presented in Losail, in preparation for the 2016 Grand Prix motorcycle racing season. The new motorbike is a milestone in Aprilia's young and victorious racing track record, with 54 world titles won in around 20 years: this is the first MotoGP bike on which Aprilia has designed, developed and built every component, beginning with the engine, a unit featuring the exclusive narrow V4 architecture implemented on the entire supersports line from the Noale-based factory. In 2015, the parent reported net sales of 743.5 million euro and net profit of 15.1 million euro. The Board of Directors will ask the shareholders to approve distribution of a gross dividend of 0.05 euro per entitled ordinary share (0.072 euro for financial year 2014), equivalent to approximately 18 million euro. The ex dividend date (coupon no.9) is 18 April 2016, the record date is 19 April 2016 and the payment date is 20 April 2016. As far as technology is concerned, the Piaggio Group will be working to develop new solutions for mobility today and tomorrow. This is the strategic objective of Piaggio Fast Forward, established in Cambridge, Massachusetts, to work with university teachers and researchers and in cooperation with top world players, for the development of innovative solutions for future mobility; similarly, the PADc (Piaggio Advanced Design center) in Pasadena will continue to explore the new frontiers of design for innovative, functional and efficient products with a unique style worthy of the Piaggio Group and its most prestigious brands. In Europe, the Group R&D centres with a more traditional approach to new product development and production start-ups, will continue work on technologies and platforms that focus on the functional and emotional aspects of its vehicles, through continuous development in power trains, wider use of digital platforms connecting user and vehicle, and trials of new product and service configurations. They will be flanked by Aprilia Racing, which is not only a victorious racing division but also a profit centre for the development and sale of top-level motorcycles and a cutting-edge development platform in testing new materials and technological solutions of benefit to all Group products. At a more general level, the Group maintains its constant commitment – a characteristic of recent years and continuing in 2016 – to generate higher productivity through close attention to cost and investment efficiency, in compliance with the ethical principles adopted by the Group. At today’s meeting, the Board of Directors agreed to present to the shareholders’ meeting a proposal for the renewal of the authorisation for the purchase and sale of own shares granted by the Annual General Meeting of 13 April 2015, which is due to expire on 13 October 2016. The proposal aims to provide the company with a useful strategic investment opportunity for the purposes allowed under law, including the purposes contemplated in the market practices allowed by the Consob pursuant to art. 180, paragraph 1, lett c) of the Consolidated Finance Act with resolution no. 16839 of 19 March 2009 and Regulation CE no. 22/2003 of 22 December 2003, and also for purchases of own shares for subsequent cancellation. Authorisation to purchase own sales will be requested for a period of 18 months, as from the shareholder resolution date; authorisation to sell own shares will be requested for an unlimited period. As of today, the number of own shares in portfolio stands at 1,896,000, representing 0.525% of share capital. All information concerning the terms and procedures of the authorisation will be set out in the Illustrative Report on Own Share Purchases, to be made available to shareholders within the terms envisaged by current laws. The Board of Directors approved an update of the 2014-17 Business Plan, also for the purpose of impairment testing. The update takes the related cash flows forward to 2019 while making no changes to the basic assumptions. The review is dictated largely by exogenous considerations relating to weaker general economic conditions and market demand than previously assumed. The results of the review are in any case in line with consensus forecasts. The updated Plan confirms the Piaggio Group strategy to leverage its consolidated leadership in Europe in order to obtain the maximum benefit from the market turnaround after several consecutive years of decline. 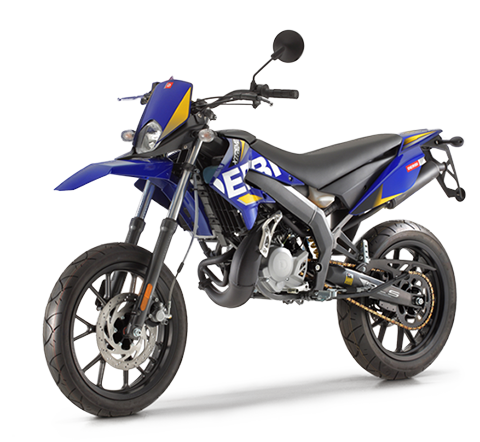 The Group will also be aiming to penetrate new customer segments, with the development of projects such as e-bikes on Western markets and small-medium displacement motorbikes in Latin America. On the Asian markets, the Piaggio Group intends to maintain its position as reference player on the Vietnamese premium scooter market, supported by the full renewal of its product ranges, which has already seen the launch of the new Piaggio Liberty and Medley models. 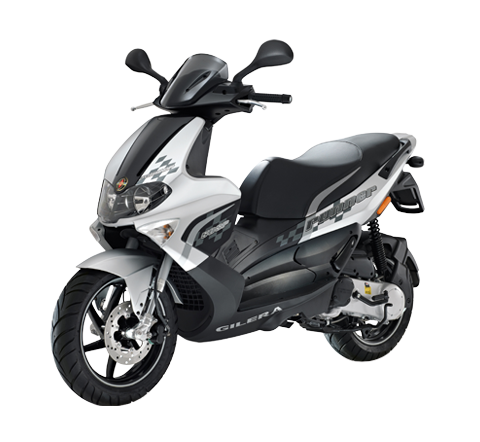 On the Indian market, the Piaggio Group is targeting higher sales of two-wheelers, with the expansion of the product range for both scooters and small-medium displacement motorbikes. With regard to 3- and 4-wheel light commercial vehicles, the Group is also looking to consolidate its position as benchmark player on the Indian three-wheeler market, and grow its presence in four-wheel vehicles in the one-ton and up to 0.5 ton segments. It will also continue to develop export operations (with priority on Africa and Latin America) for vehicles produced in India. With regard to key economic and financial indicators, the 2016-2019 Plan forecasts consolidated net sales of between 1,750 and 1,850 million euro in 2019. The Ebitda projection for 2019 is approximately 255 million euro. Piaggio Group net debt is expected to be approximately 400 million euro in 2019 (from 498 million euro at 31.12.2015). The presentation of the financial results as at and for the year ended 31 December 2015, which will be illustrated during a conference call with financial analysts, is available on the corporate website at www.piaggiogroup.com/it/investor and on the “eMarket Storage” authorised storage mechanism on the website www.emarketstorage.com. The Piaggio Group consolidated income statement, consolidated statement of financial position and consolidated statement of cash flows as at and for the year ended 31 December 2015 are set out below. In line with the recommendations of CESR Communication 05-178b, attention is drawn to the fact that this press release contains a number of indicators that, though not yet contemplated by the IFRS (“Non-GAAP Measures”), are based on financial measures envisaged by the IFRS. These indicators – presented in order to assist assessment of the Group’s business performance – should not be considered as alternatives to those envisaged by the IFRS and are consistent with those in the Piaggio Group 2014 Annual Report and quarterly and half-year reports. Furthermore, since determination of such indicators is not specifically regulated by the IFRS, the methods used may not coincide with those adopted by other companies/groups, and consequently the indicators in question may not be comparable. In compliance with Consob Communication no. 9081707 of 16 September 2009, it should be noted that the alternative performance indicators (“Non-GAAP Measures”) have not been audited by the independent auditors.